In the shared server the numbers of website are hosted on the single server. The server capable of handling the number of websites. The resources are configured for each of the accounts individually. The shared hosting accounts provided for individual components are handled with the help of control panel provided along with that. The privilege of root access will be missing in this case. Though the shared hosting is capable of handling the websites. It is having certain limitations. 1. When the shared server goes down, each of the website goes down. Which results in the possible down time. 2. When you have hosted your website on the shared server, and for a instant you wish to reboot your server, you can’t do it. The reason being you will not be provided with that provision. 3. The shared servers are not provided with the root access so you won’t be able to perform any of the operations on the server. The comparison between the shared and the server hosting depends on what type of website you are hosting on it. Sometimes it is also holds good to opt for shared hosting then upgrading to cloud as the resources and the higher technology is needed. As a leading web hosting company in India, We provide all kind of hosting solutions to our customers from simple basic shared hosting, VPS, dedicated server and cloud solutions. The cloud infrastructure is set in such a way that it will offer scalability, flexibility and high availability. The visualisation of the cloud can be done as followed. 1. The number of server involved with all the resources are arranged in a hub. 2. A website hosted on a server is hosted in such a way that it can be feeded by any of the server which is on that hub. 3. When a resource in a server fails to act it will be replaced by one of the other in the cloud. The cloud infrastructure helps to minimise the possible downtime. Thus witnesses the reliability of the server. The advantage of the server being is the resources your website in need is only utilised and rest of the other will be released. The cloud server at HostingRaja is powered by VMware which is most used platform in the world it is known for its robustness. Following discussed factors helps conclude the performance and benefits of cloud. 1. When you are hosted on the shared server and you need to perform the reboot operation, it will not be a possible action. When you are on cloud you can do it easily. 3. When you have hosted your website on shared hosting and suddenly one of the resource feeding your website fails you will experience the downtime which will have higher impact on the outcome of the website and you may experience the huge loss because of that. But this is minimised when you are on cloud. The cloud infrastructure is designed to provide the high availability of the resources and you will have maximum uptime. To choose the better option between the cloud and the shared hosting you must analyse your website and understand the requirement of the website. 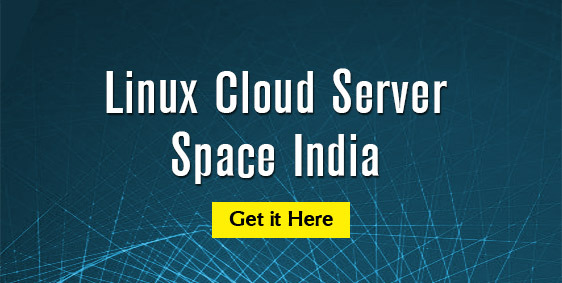 Both the shared hosting and cloud machine plans at HostingRaja are offered at very affordable price compared to other hosting service providers. With the lowest price offered HostingRaja never compromises with the quality of the server. It uses world class components within the server.